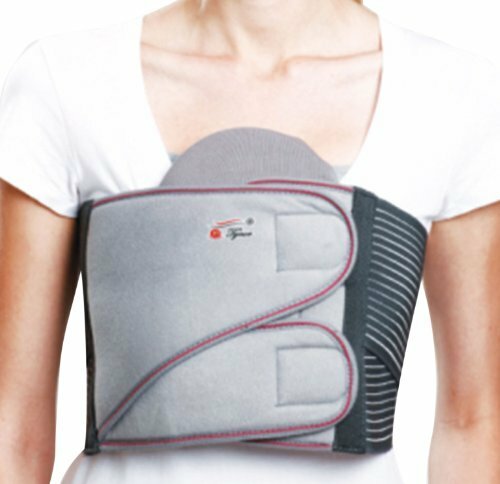 Chest binder is applied to the thoracic region to compress and bind the rib cage and provide splinting to the sternum while allowing sufficient flexibility for comfortable breathing. 50 mm thick puf pad hold and binds the fractured sternum without compromising on patient comfort. Strong elastic band gives good grip and helps in equidistribution of pressure. Reduces post operative pain and discomfiture. Facilitates phlegm expulsion after cardio thoracic surgery. If you have any questions about this product by Tynor, contact us by completing and submitting the form below. If you are looking for a specif part number, please include it with your message.